Do you long to celebrate your pirate style? 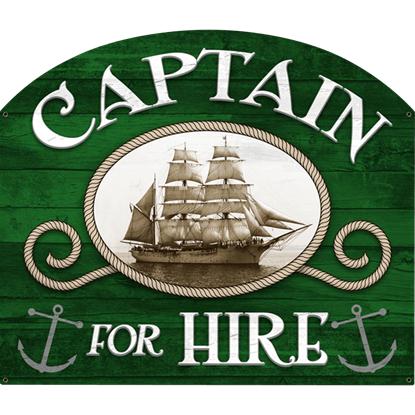 Do you desire to decorate like a deckhand but still maintain your modern flair? 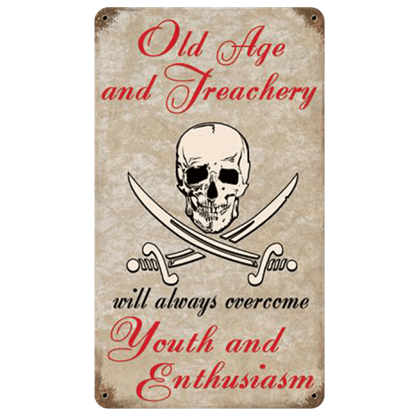 Well, lament no more me hearties, because we offer a fine selection of vintage pirate wall signs that are perfect for just that! 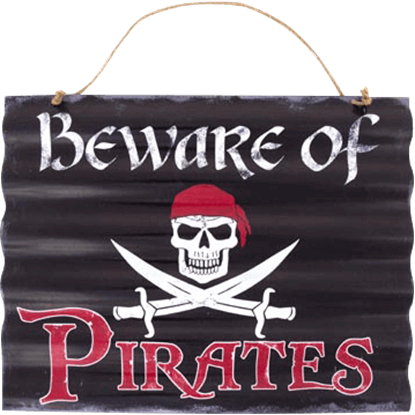 Hang one up and you get not only pirate style but also a fun modern decoration! 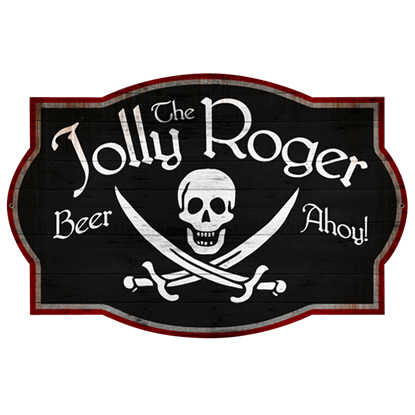 The secret behind it all is the combination of the vintage steel sign with iconic pirate imagery. 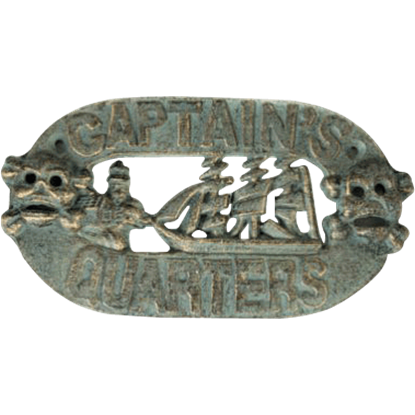 The stylish and vintage steel sign lends an old Americana look to any emblem without compromising its original integrity. 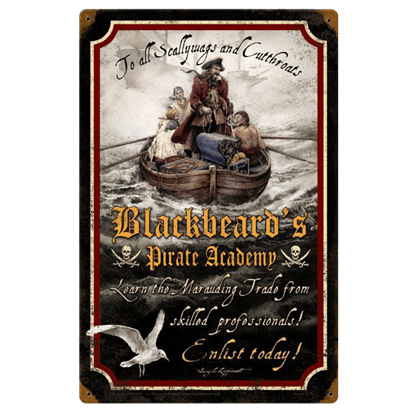 Thus, you get stunning pirate decorations and tavern signs from the Golden Age of Piracy while still having a wall decoration that fits into most modern decors! And do we have a variety! 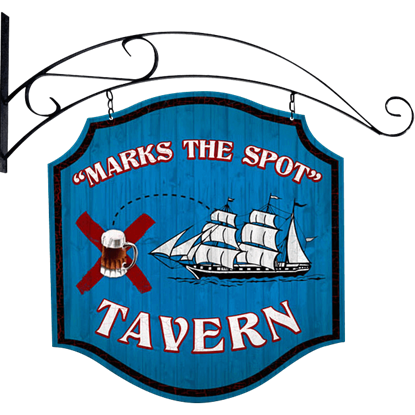 We have tavern signs fit for swashbucklers and captains, clever pirate phrases that will charm and amuse, and even straight-laced and humor signs to suit any mood you might be in! 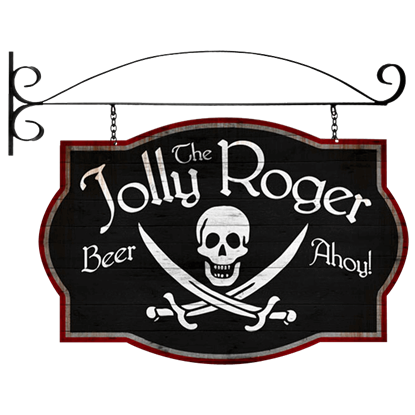 If you want to build a Davy Jones tavern, we have a sign for that. Want to reserve your galleon parking? Done. 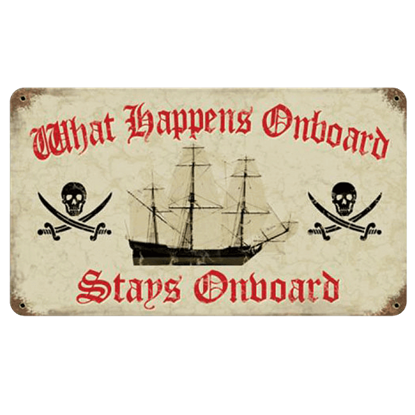 State your pirate motto? You got it! Let your pirate flag fly in modern-day colors! 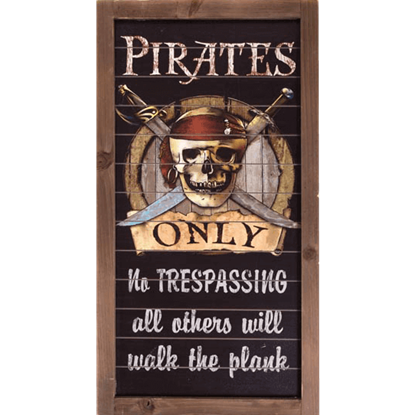 Pay us a visit and browse our selection of pirate wall signs, and we will show you how not all pirate treasure is buried in the sand! 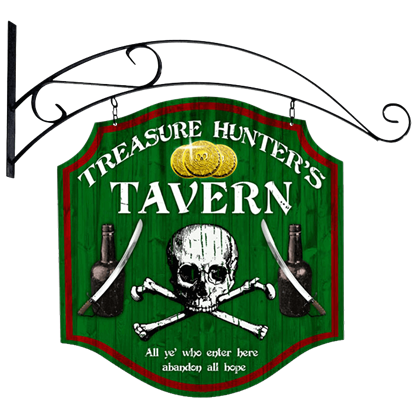 Turn your house into a treasure cave with the Pirate Hanging Banners. 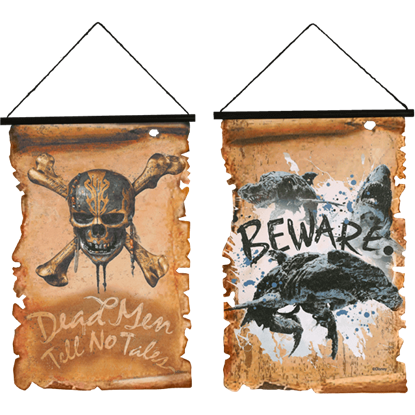 These ragged scrolls, which come in sets of two, are decorated with imagery from Pirates of the Caribbean and have sturdy supports and strings for easy hanging.